If you haven’t heard of the Carbon Design System before, check us out! We’re a design system for IBM, shipping open-source styles and React components for anyone building on the web. 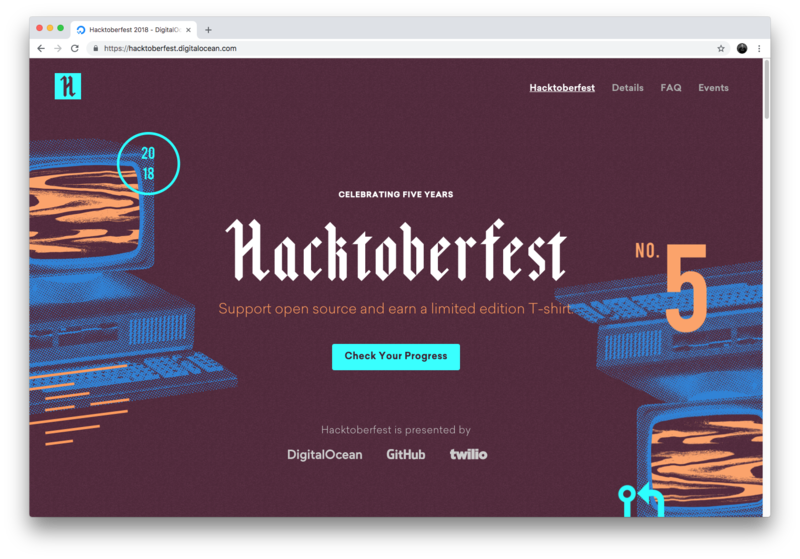 - Hacktoberfest is open to everyone in our global community! - Five quality pull requests must be submitted to public GitHub repositories. - You can sign up anytime between October 1 and October 31. All of the projects under the Carbon Design System are open source on GitHub, and so any contributions to Carbon count towards your Hacktoberfest goals! As a team, we want to make it as easy as possible to contribute to Carbon. When looking for ways to contribute, definitely check out this link which will show you all the issues with a hacktoberfest label. Issues that have a hacktoberfest label should be limited in scope and great for first-time contributors, or those who have already contributed to Carbon. We also welcome any other kinds of contributions that individuals want to make to any Carbon codebase! Feel free to make a pull request for things like documentation, bug fixes, typos, and anything else! For feature requests or enhancements, look for an existing issue or make one using our feature issue template. After one of the core team members comments on it, you are good to go to make a pull request for the project! Inside of each project’s issues, you should see the hacktoberfest label. Issues that have this label are open to any type of contributor that wants to participate in Hacktoberfest. We also have issues for first-time contributors marked with good first issue. We label any issue that we want external contributors for with the status: help wanted label. Each project has a CONTRIBUTING.md file that outlines how you can get the project up-and-running! For example, here are our contribution guidelines for React. The Carbon team is always available to answer questions related to our work! Feel free to reach out to us on Twitter, or if you’re an IBMer you can message us on #carbon-design-system, #carbon-components, #carbon-ng, or #carbon-react. You can also submit an issue on any one of our projects and we’ll get back to you as soon as we can! 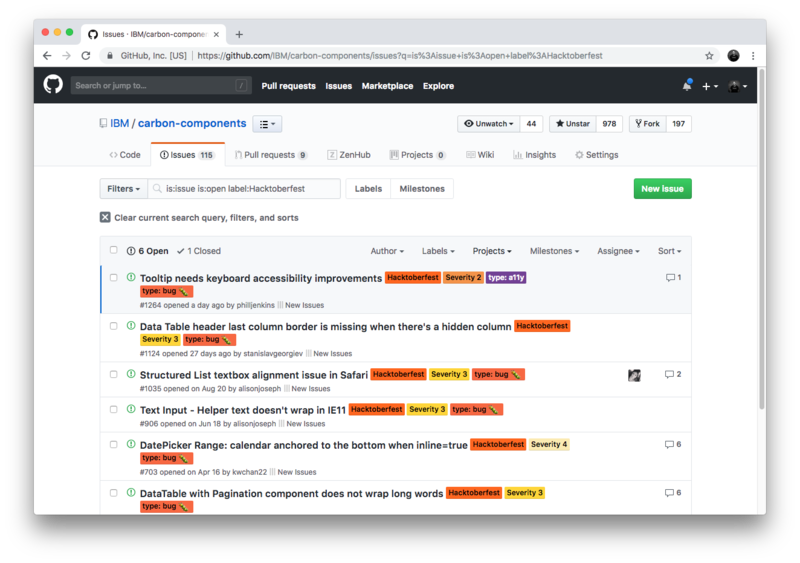 The Carbon Design System is an open-source design system for IBM. It is a series of individual styles, components, and guidelines for creating unified User Interfaces. We’re always looking for contributors for our projects, if you’re interested please check out one of our projects in the IBM GitHub Organization. Have any questions or concerns about the Carbon Design System? Please reach out to carbon@us.ibm.com. Thanks! Building design systems for IBM. Thoughts are my own. Carbon is the design system for IBM software products. It is a series of individual styles, components, and guidelines used for creating unified UI.